As a truck driver, you want to ensure you’re not subjecting your vehicle to anything short of the best service and care affordable. So, when unfavorable roadside circumstances catch you off guard, you want to have full confidence in the technicians servicing it. A&M Truck and Trailer Repair will accommodate you as much as possible, especially under unexpected or emergency conditions. We offer comprehensive roadside service, specifically catered to heavy-duty trucks and machinery. We provide everything from mobile truck tire changes to jump starts. And should your vehicle remain inoperable for whatever reason, we can arrange reliable towing and auto-transport for it to arrive safely at your destination of choice. If immediate action is deemed necessary, we can even move your vehicle straight into our full-service auto body and truck repair shop. 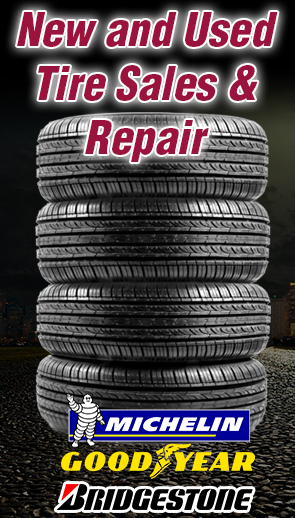 Need new tires altogether after the blow out your current one(s) took? We stock replacement tires, as well as a host of other truck parts for your use and convenience. Our store carries products from notable brands like Michelin, Bridgestone, and Goodyear – to name just a few. It’s never pleasant to be caught in an unforeseen breakdown off the highway shoulder, but we can at least make your experience positive going forward. What’s more, our friendly staff is known for giving accurate estimated times of arrival, so you have realistic expectations from start to end. Not to mention, we try our best to meet your budgetary preferences with our highly affordable rates. A&M Truck & Trailer understands the nature of every call is unique and requires a different course of action – so, we maintain an extremely varied, extensive, and top of the line fleet, ready to tackle just about everything. We operate 24 hours of the day, 7 days of the week – so, even when an incident should occur in the late hours or at the crack of dawn, we’ll be there for you. Just pick up the phone and call 419-929-4127 for true 24/7 service or use our convenient contact form. We carry the common truck and trailer tire sizes, as well as lowboy and container tires. What Repairs Do You Do? All aspects of truck repair. The kind of service and satisfaction that you'd expect from a major trucking company can be yours in small town Ohio. 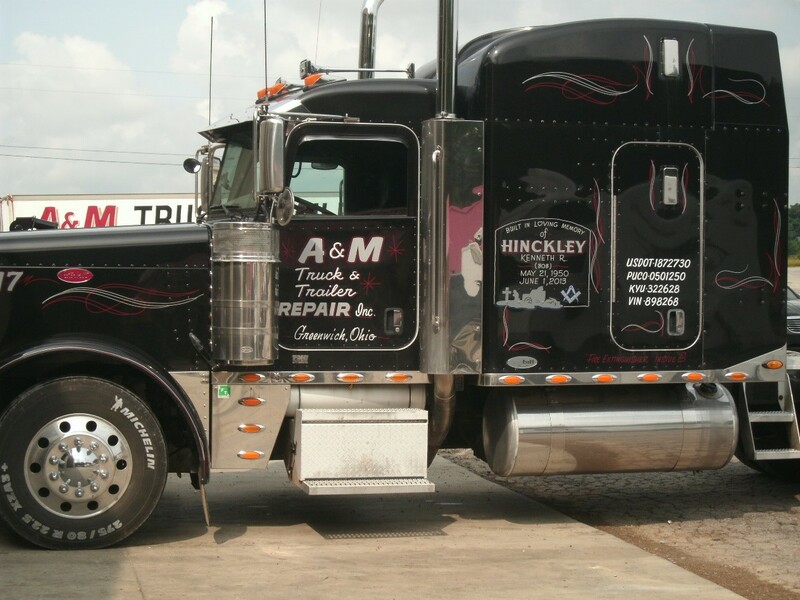 Locally owned and locally operated, A & M Truck and Trailer repair provides quality and certified truck and trailer repair to Greenwich Ohio and travelers through our area. Our 24 hour road service and truck and trailer repair is located at the intersection of two major truck routes, those being St Rte 224 and US Hwy 250, Greenwich. Counties: Ashland, Huron, Richland, Medina, Lorain and all surrounding areas.